Only the top three finishers in Ghana will fly Africa’s flag in France next year summer. 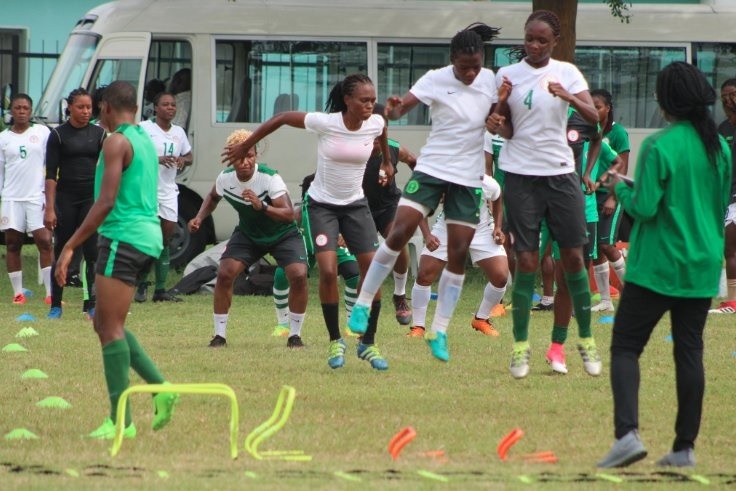 A weekend of South African diet continues on Sunday as eight –time champions and Cup holders, Super Falcons clash with the Banyana Banyana of South Africa in the opening match of Group B of the 11th Women Africa Cup of Nations. Three precious points are at stake at the Robert Mensah Stadium in Cape Coast, as the Falcons not only go for the Banyana’s jugular in order to defend their continental title, but also to earn a place at next year’s FIFA Women’s World Cup finals in France. Sunday’s opening match is important to both teams as the restoration of Equatorial Guinea – another strong side in African women football – to the finals means fierce battles in Group B for the two tickets to the championship’s last four. Equatorial Guinea, restored to the tournament after the CAF Appeal Board overturned an earlier decision by the Disciplinary Board to put Kenya in the draw, will clash with Zambia’s Chipolopolo Queens in the day’s second match.